There Comes a Time ... What is God Calling You To Do? You are here: Home / faith / There Comes a Time … What is God Calling You To Do? 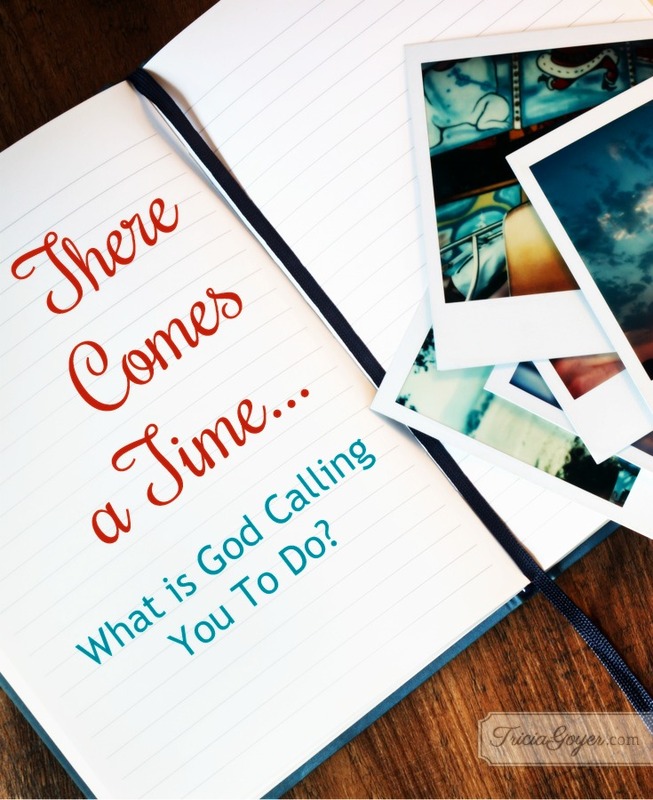 There Comes a Time … What is God Calling You To Do? What is God Call You To Today? There comes a time when you take “Go, Ye, into all the world” seriously and invite your neighbor out to coffee and look into taking a mission trip with your kids. When you realize people need Jesus and if you don’t reach them, who will? There comes a time when you consider that Jesus meant it when He said to care for the widows and orphans, and you think about opening your home and making friends with the aged and lonely. There comes a time when you set your prejudices aside and consider who are “the least of these” that Jesus talks about. He says when you feed them, care for them, and love them, it’s like you’re caring for Him. It’s a teen mom, a single mom, a needy friend who needs time, love, and attention. There comes a time when church service becomes a verb instead of a noun. You look for ways to serve on Sundays and not be served. There comes a time when you realize you need to change more than your spouse needs to be changed, and you start praying about that and asking God to start with you. True love is rooted in true sacrifice and preference to another person. There comes a time when you realize the whole point of raising kids is to launch them into the world—not for them to be successful, but to be obedient to Jesus Christ, even if that means they must live a life of sacrifice far beyond your reach. There comes a time when you spend a lot of time fundraising and a lot of money out of your own pocket, and when you put life aside to travel 40+ hours simply to stand in front of a few dozen teens to tell them God loves them . . . then you have no doubt it’s exactly where you’re supposed to be at that moment. There comes a time when you realize the dreams God placed in your heart aren’t about you at all. They’re about the world and God’s desire to touch, help, and inspire those around you. They’re about being a foundation stone that Jesus can build on for His kingdom. There comes a time when you hold a piece of yourself in a book and you don’t know where the words or story came from—except from God—and you understand the message was as much for you as anyone else. There comes a time when the most impacting friendship isn’t when someone is there for you, but when you’re there for someone. There comes a time when you get more excited about promoting other people than promoting yourself. There comes a time when you realize when you asked God to give you His heart, you can look around and see He has. And you pray it’s only the beginning. And deep down you know it is. Where are you at right now and what is God calling you to do? Wonderful post. Makes a person think. Am I doing all I can for Christ? Do I need to be sharing the gospel more than I do. God sometimes will provide the opportunity to share but often must see the opportunities as they come or make the opportunity .